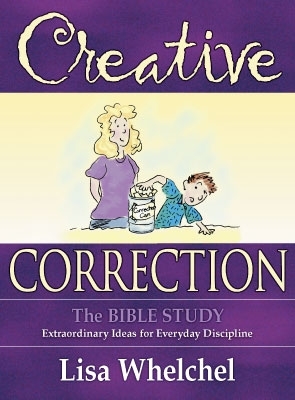 "Mommie Dearest II - The Sequel"
In Lisa Whelchel's parenting advice book, "Creative Correction," we get a glimpse of the childhoods of her three children through their mother's eyes. One wonders which of her offspring will write the tell-all book of the 2020's detailing the other side of the story - through the child's eyes? In the Whelchel household, big people can hit little people (although Whelchel insists on using the euphemism "spanking" rather than admitting the plain fact that she does indeed physically hit her children). She even forces her children to recite little rote memorized prayers thanking God for blessing them a Mommy who spanks them (p. 265). But one gets the distinct impression that in the Whelchel household, spankings are designed to meet Mommy's needs and serve Mommy's convenience, not the child's; a good example on page 287 has Whelchel's daughter coming downstairs after her bedtime to complain of pains in her legs. But Lisa Whelchel's immediate response is simply to threaten her with a spanking for being out of bed. But while big people can hit little people, little people, despite the violent behavior modeled to them by their elders, may not hit each other. When they do, Whelchel recommends forcing the hitter to wear boxing gloves the entire day without taking them off. When the child has difficulty performing routine tasks such as brushing teeth or eating, Whelchel exhorts her readers to further humiliate the child by making a home video of the spectacle (p. 206). With all the crazy-making mind games which the author plays with her children it comes as no surprise that her children fight with each other a lot. They can't take out their frustrations on Mrs. Whelchel, of course, but they can certainly take them out on each other. However, the author has more ways of dealing with sibling conflict than just the boxing glove video camera approach. She recommends handcuffing quarreling children to each other, adding, "It’s really fun to watch them try to eat dinner like this, or read a book, or take the garbage out, tasks I’ll often assign them” (p. 203). A variant of this technique involves binding their legs together as if in preparation for a three-legged race (p. 209) or forcing them to yell "I love you" to each other 20 times, or commanding them to hug one another regardless of how they are actually feeling at that moment (p. 203). These sorts of techniques do nothing to resolve underlying conflicts or addess their causes. They are merely methods for driving conflict further underground where it becomes less noticable and hence less annoying for Lisa Whelchel. Eventually her children will grow up and will need to function as autonomous adults. When will they obtain practice determining the outcomes of their own life situations, as opposed to practice instantly obeying Mommy, no matter how bizarre and irrational her demands? Whelchel's "favorite curve?!?" Her baseball metaphor evokes a 'curve ball,' thrown by the pitcher in an attempt to make the batter fail to hit the ball. This is an excellent technique if you wish the person to whom you threw your curve ball to 'strike out,' i.e. to fail, to lose. But why would any sane parent wish to throw repeated metaphorical curve balls at her own children, especially out of the blue, in public places, for no reason in particular? The answer is quite simple. Whelchel wrote this book for parents who view their children as an opposing team to be defeated. Such parents will likely deem this book a fount of wisdom. But childrearing does not require a series of contests, each concluding with a winner and a loser. It is possible, and preferable, to have a family in which everybody "wins." For more on win/win approaches to child discipline, read "Parent Effectiveness Training" by Thomas Gordon. Leave Whelchel's book alone, except perhaps as a preface to the as-yet-unwritten "Mommy Dearest II" memoir which one or more of her grown children may eventually write once they have safely grown up and escaped her reach. Hopefully writing it will assist in their long, difficult journey of recovery from having been raised with the methods outlined in this book. Until then, parents are best advised to avoid this book. It is not worth the occasional good idea which breaks the surface of its pages gasping for air only to disappear once again beneath the same old ocean of authoritarian, control-obsessed, effluvent.